Structured interviews, or patterned interviews, are a test interview method popular in many different industries and the public sector as well. In these interviews, a large group of candidates is asked the same or rather similar questions that reflect on their past experiences so various competences, such as working with others, leadership, learning and development can be assessed. A typical question would be the following: “Please tell me about a time when you had a conflict with a member of your team and how you reacted?”. 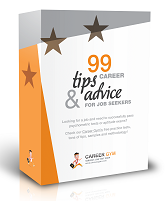 Their answers are then evaluated and compared, allowing job interviewers and assessment centres to determine key competences that are relevant for a job rather quickly and fairly. 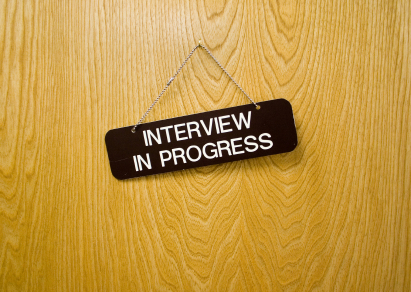 This interview process helps both candidates and interviewers save time. Interviewers do not need to develop a large list of questions or go deep into each candidate’s resume (CV), while all candidates spend the same amount of time, usually around 30-60 minutes, in answering interview test questions. Simply speaking, structured interviews are a set of questions that follow a particular structure, where all candidates interviewing for a particular job role are given the same or very similar set of questions to answer, grouped according to competency areas the interview seeks to evaluate. If you are a candidate, it is important to know that structured interviews are a part of the selection test and your performance will be used to determine how well suited you are for the job, compared to other candidates, and possibly to determine a training map after you’ve been recruited, based on the strong and weak areas of your competencies. Why Are Structured Interviews Important? Because all candidates answer similar set of questions, interviewers are able to create a pool of qualities and key job skills that candidates have. Moreover, candidates are screened according to their competencies and not their resume (CV), which makes the understanding of the candidate’s profile more subtle and tailored for the requirements of the position. These reports are then matched against the skills required for the job. By asking candidates to respond to a questionnaire or a multiple choice test, organizations can reduce interviewing time and quickly shortlist candidates based on their hiring criteria. The only flip side is that a large number of candidates may have to be interviewed to form a pool of skills to pick from. Structured interviews are an important component of job aptitude tests across different industries, including postal services, retail, and manufacturing. They are great to shortlist candidates in jobs where thousands of candidates apply. They also represent an important tool for jobs where the required skill and competency sets, such as communication skills, management skills, prioritisation skills and others are clearly defined. In some industries, structured interviews are divided into different levels and candidates are eliminated at each level. The final set of candidates is then interviewed and a decision is made, depending on their overall performance. The set of structured interview questions ensures that all candidates get an equal and fair opportunity to perform. All candidates are evaluated for the same set of skills, thus making certain that structured interviews provide a legitimate and just evaluation. Although structured test interviews are a successful model of interviewing, they could potentially increase an organization’s interviewing expense, since a large number of candidates needs to be interviewed to get substantial comparative data. Need more information? Check our live online training courses for structured interviews and assessment centre tests!